The small, whitish, terrestrial fruitbodies with attached gills and no veil may be difficult to place until a spore print is made: the pinkish tan spores are characteristic of most mushrooms in the Entolomataceae. Saprophytic. 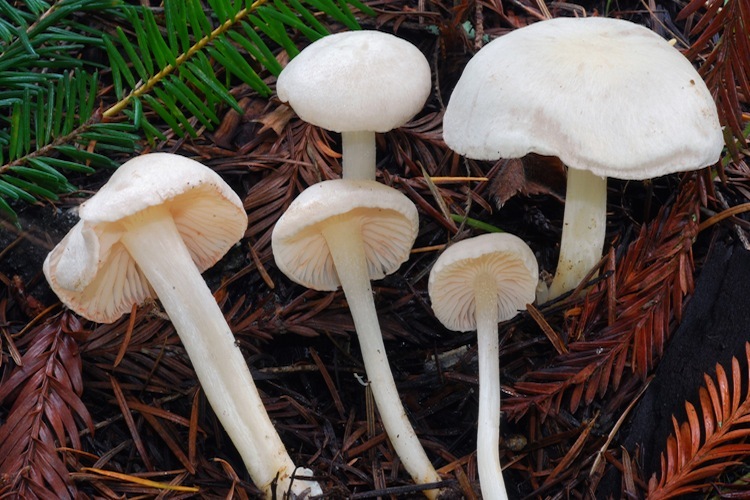 Although merged into Entoloma by Noordeloos and others, we consider it probably best treated as a separate genus. There is only one local species, so identification depends only on learning to recognize the genus.